Think of the Detroit economy, and you think about cars; think about Houston, and you think oil and energy; in Los Angeles, it’s the entertainment industry. 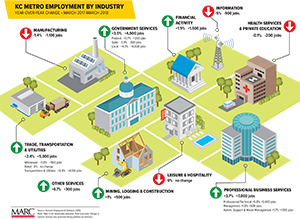 But when we think of the Kansas City economy, no one industry comes to mind. That is because we have such a diverse mix of industries, with no single one dominating. In some ways, this might be one of Kansas City’s greatest strengths. Our workforce has always been adaptable, and our diversity helps us weather economic ups and downs. 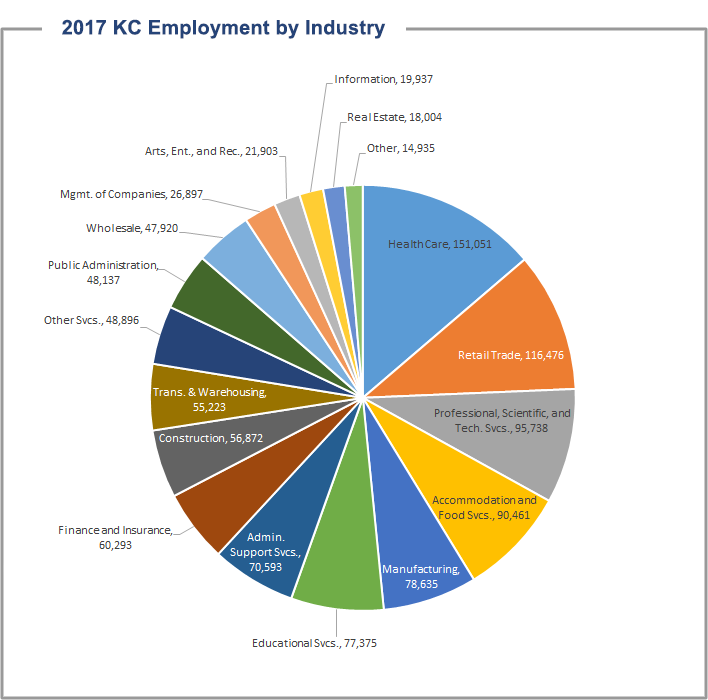 From the 19th century, when our transportation routes supplied westward expansion, to the 20th century, when we built a strong manufacturing base, and as we move into a more knowledge-based economy in the 21st century, the adaptability of Kansas City’s workforce keeps the economy running strong.